P&V Quality Cars is a family run dealership with years of experience within the used car industry. 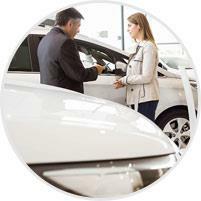 All our used cars are handpicked and thoroughly checked onsite by our experienced technicians. Our aim is to keep prices low and standards high, maintaining a competitive service. We pride ourselves in our personal and friendly service as well as our vast automotive knowledge and experience. We're automotive experts across our entire range of brands, delivering the best customer care and advice on all vehicles. Our professional and friendly approach is second to none and we are available to give advice and guidance to customers who are looking for any kind of used car.